We cannot forget that in the middle of the Nexus 5 madness last week, we came across multiple leaks for Motorola’s new device, the Moto G. Motorola had its trademark leaked, spec list exposed and we think we even know the price of the phone as well. Early this morning they decided to make it official by telling us to make sure our calendars are clear on November 13. The Moto G popped up briefly on Motorola’s website last week before quickly being taken down, but it’s back again. 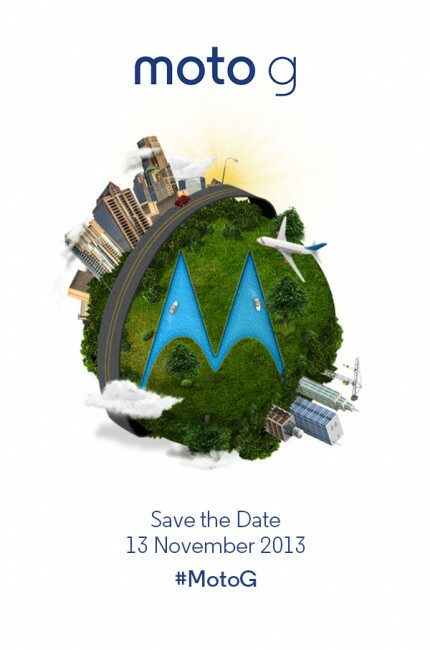 There is nothing much to the website other than the rotating M logo that you can find on the Moto X’s boot animation and a place to input your email address to be notified of the announcement when it goes live. It makes sense that Motorola only wants to do an online announcement for this phone considering that we are expecting a lower-end version of the Moto X. The 4.5″ 1280 x 720 HD display will cover a Snapdragon S4 quad-core processor, 8GB of storage and a 5MP camera on the rear. We will not have to speculate for much longer though, November 13 is just around the corner.